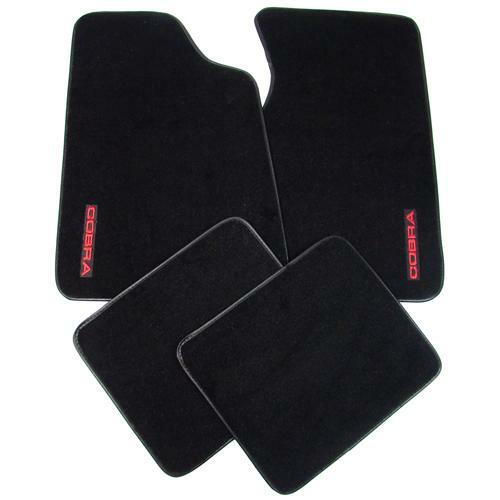 Bring the Cobra name inside your Mustang Fox Body with these 1979-1993 Mustang Black Floor Mats with the Cobra nameplate logo. 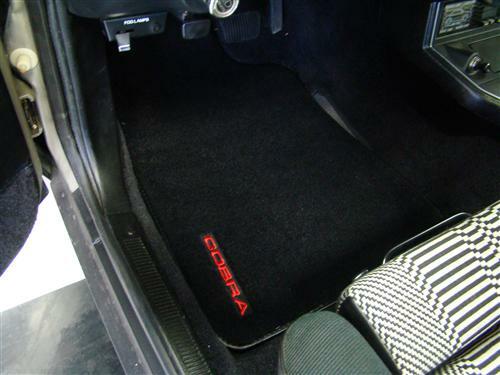 A fresh set of carpeted floor mats is a great way to spruce up the interior of your Mustang Cobra. 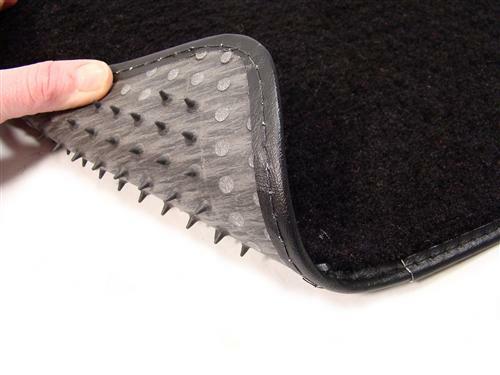 If you have stained floor carpet but don't want the hassle of replacing it, just get yourself a set of these ACC carpeted floor mats and cover up that old stained carpet! On the other hand if you have already replaced the carpet in your Mustang don't just reuse the old stained mats that you had before! What a huge waste to go through the trouble of installing fresh carpet just to cover it up with ugly and stained carpet mats. 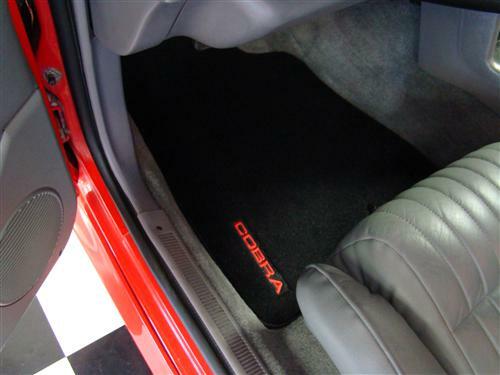 When you install new floor carpet treat yourself to a new set of Mustang floor mats that will not only be a great color match for the replacement carpet, but will also protect it from wear in the future. 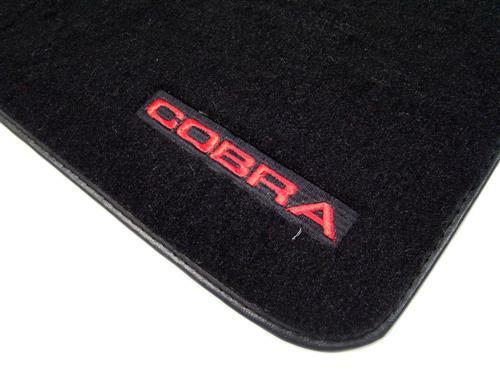 The embroidered logo featured on these mats match the original side facing Cobra text found on the true 1993 Ford Mustang Cobras!